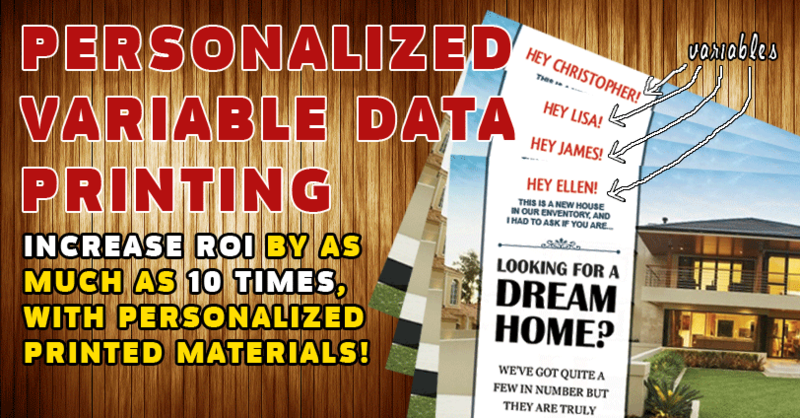 Using Variable Data in your mail marketing can increase response rates by up to ten times according to the United States Postal Service! The effectiveness in direct mail lies in the ability to grab the attention of the reader and produce information which is personally relevant to each individual consumer. With The Printing Press’ variable data printing, you can include individual names, addresses, business names, special offers, marketing copy, charts and graphs, data and even images! can add a personal touch to your marketing materials!